We use computer to perform several task in our daily life. They are used to process and store valuable information. Some information may be very important to organization. The loss of these important data can cause serious damage to the organization. It takes lots of money and effort to recover them. As the computer system is delicate electronic and electro mechanical system. It should be used and kept safely. If we do not use it properly, its hardware as well as software, may damage any time. Hence, computer security plays a vital role to the growth and survival of any organization. So, proper management of computer is essential for every organization. Computer security includes the policies, procedures, tools and techniques designed to protect a company’s computer assets from accidental, international or natural disasters, including accidental input our output errors, theft, breaking or physical damage and illegal access or manipulation of data. 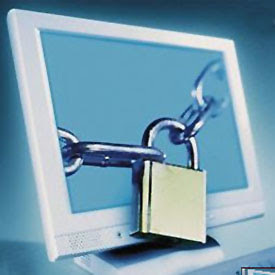 The protection of computer system from accidental or intentional harm, including destruction of computer hardware and software, physical loss of data, deception of computer users and the deliberate invasion of database by unauthorized individuals is called computer security. In other words, the protection of computer, its accessories, data and programs for a long life of computer system is known as computer security.Computer security is concerned with the hardware security as well as software security. available to find defective hardware comments of the computer system.The protection of al l hardware components used in computer system is known as hardware security. VIII. Avoiding unrelated persons in the computer rooms. Regular maintenance is necessary for proper functioning of our computer system. We should clean our computer and its peripherals regularly by using dust cleaner. We should scan hard disk using latest and updated Anti-virus software to make it virus free. We should format hard disk time to time in order to make our computer system fast. It is better to delete unnecessary files from hard disk. Upgrade some hardware components as well as software to make computer system fast. The term Insurance is not new for us. 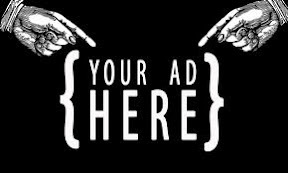 Generally people insurer their health, life, company, building, vehicle, etc. But nowadays many people also insure their computer. If our computer is damaged or lost we can claim for the insurance amount and replace the computer system easily. So, it is being one of the hardware security measures of our computer. Dust is one of the major factors which cause infection of our computer system. Dust effect external as well as internal parts of our computer system. So we should keep our computer in the dust free place. We should use dust cover to prevent our computer from dust. Fire is another factor, which cause infection of our computer system. Fire can damage whole computer system. It is very dangerous factor so we must be very careful about fire. It may cause by smoking, so it is better to avoid smoking inside computer room. Another chance is by electricity so proper wining is necessary inside the computer room. Keeping fire extinguishers can be a good idea. As we all know that computer is an expensive machine as compared to other common machines. So we must keep our computer system in the secure place to protect from theft. If we are not careful, someone can easily state important parts of computer system from computer room. We must lock doors of computer room properly. The entry and exit of computer room must be well controlled and monitored. Unknown or unauthorized persons should not be allowed inside the computer room. Construct the computer room with emergency doors and windows. We can hire security guards to guard computer room. We should maintain suitable temperature and circulation of air in the computer room. Low or high temperature in the computer system may cause unexpected crashes during the operation of computer. Heat can break down contracts or junctions in the chip or other devices. So, there should be proper air condition to maintain suitable temperature in the computer system. Similarly there should be enough light in the computer room. We can use cooler or fan to prevent heat built-up. A computer needs a well regulated power supply for the proper functioning of its various parts. UPS is a device that stores electricity and automatically provides backup power to the computer in case of electricity failure is the source. It is activated when it detects a loss of power from the source and prevents loss of data and damage of computer parts that might be caused due sudden power failure. It also prevents our computer system against sudden power surge. It acts like a buffer between the incoming power supply and the computer system. It constantly monitors the quality and characteristics of the power supply. Nowadays a several different types of UPS having different capacities are available in the market. We should buy UPS from a well-known and reputable company. Volt Guard is another important power protection device. It provides constant output voltage to the computer system in case of high input voltage coming from the source. As we have known that our computer system needs voltage between 220 to 240volts and high or low voltage affects our computer system. Volt Guard plays important role to save our computer system from damage due to high voltage. If the input voltage comes from the source, it provides constant output voltage between the ranges 220 to 240 volts. So, we must use Volt Guard in our computer system. The lightening in the rainy season can cause sudden increase in the voltage level of the AC-line supplied to our house. The voltage can increase more than 2000V in our normal 220V supply. The over voltage can severely damage the electric device running at the time. This sudden over voltage is known as spikes. Spikes are very brief over voltage up to 2000V or more caused due to lightening, power- line faults etc. To save the electronic device from these spikes, we need the special, equipment called spike guard. Spike guards are the electronic device, which remove the spike and prevent it from entering into the main system. Data and programs or software is very important things. Computer can not perform any task without software. We cannot operate our computer without operating system software. Some information of organization may be very important and the loss of these data can cause serious damage to the organization. It is very costly to recover these important data and some cases that is impossible to recover them. So, data and software security is essential for any organizations as well as every computer users. Software security is the most convenient way of safeguarding our computer system. 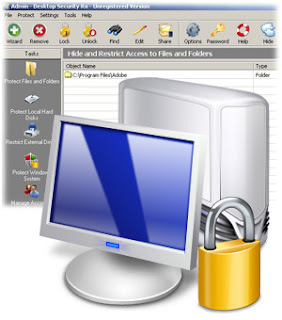 The protection of data and programs used in computer system is known as software security. The password scheme is one of the easiest and easiest and reliable method of protecting important data and information in our computer system. It is the common type of authorization control. If we protect our document by using password, only authorized users can open the document. 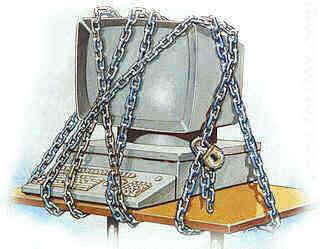 Password is the primary source of data protection; it is a set of characters that acts like a key to unlock the system. Separate password can be used to access a system, an application, or even a file in a given application. The user in an organization who is permitted to access the company database is issued with a user ID and password and only certain level of access rights are provided to them by database administrator. The success of this type of security depends on the ability of the user to create a password that is difficult to guess and to keep the password confidential. In order to ensure tight system security, many companies have policies that mandate the use of hard to guess passwords or randomly generated password and require employees to change their passwords frequently. · Password must be at least 6 characters. · The word used in password should be difficult to guess for others. · We should keep our password confidential. · We have to change our password frequently. · Files, which store password, must be encrypted. Creating backup consists of making extra copies of programs or data. It provides safeguard against the loss of data or programs in computer memory, on hard disk or on diskettes. While creating backup data to a file, we have to give file name and location for the file to be saved. We can create a extra copy of data in our hand disk by using backup utility. Sometime our original data in the hard disk may erase, in that case we can restore our data from backup copy. It is always a good idea to create backup copies of our important data and programs. Defragmentation is the process of rewriting parts of a file to contiguous sectors on a hard disk to increase the speed of access and retrieval. When files are updated, the computer tends to save these updates on the largest continuous space on the hard disk, which is often on a different sector than the other parts of a file. When the files are fragmented the computer must search the hard disk each time the file is opened to find all of the file parts, which slows down response time. Thus hard disk needs to be defragmented using disk defragmenter. The defragmenter is available in most of the latest operating system such as windows 98, windows XP, windows vista in its system tool. Scandisk feature is used to detect and repair errors on disk. This feature is available in windows 95/98/Me and Dos.6.2 operating systems. The scandisk feature included in windows 95/98 can search corrupted files also. Computer viruses are the most defective factor of data and software. Viruses may damage our data and software. Viruses produce several unusual symptoms in our computer and used to give trouble to the user while working with computer. So, we should keep our computer free from viruses. For that we should scan our computer regularly using latest and updated Anti-Virus software. We can also install an ‘On access’ scanner and configure it to start automatically each time we boot our computer. We should not use pirated software but should go for the original software. The pirated software can contain several viruses. No one can guarantee the stability and performance of the pirated software. Mobistealth instantly sends you all incoming text messages and lets you monitor the email activity. When you need to know every bit of information, there is no time to wait, look does spy texts really work find it here. Copyright © 2012 Technology. All Rights Reserved. Magazine Basic theme designed by Themes by Dhiraj Mishra. Bloggerized by http://latesttechnomanias.blogspot.com/.